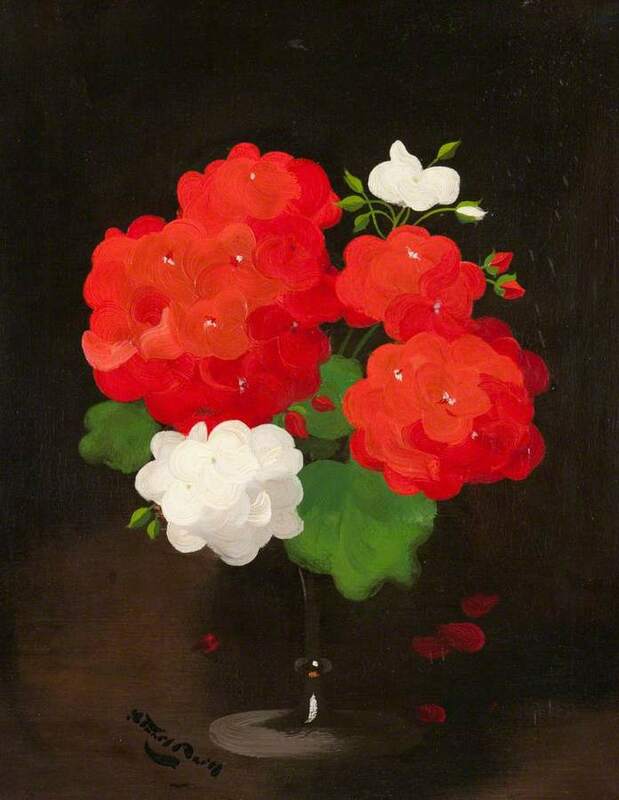 Still life of red and white geraniums on a black background. 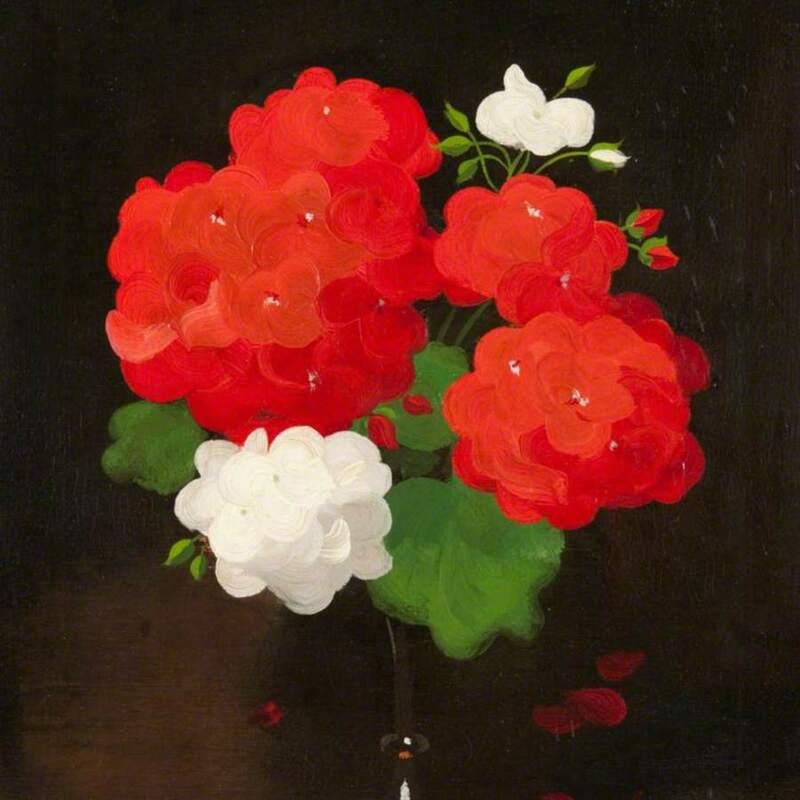 Park; James Stuart (1862-1963); Artist, “Flower Study, Red and White Geraniums ,” Heritage, accessed April 20, 2019, https://heritage.rcpsg.ac.uk/items/show/368. Description: Still life of red and white geraniums on a black background.